One of the oldest & best Indian places in Vancouver. Boneless pieces of tandoori chicken in a butter, tomato, and cream sauce. Leavened fine flour bread flavored with garlic. Basmati rice with peas and spices. Chicken, lamb, or beef cooked with cashews, coconut, sesame, garlic, coriander, saffron, and yogurt sauce. All appetizers are mildly spiced and served with chutney! Chicken wings cooked in tandoori style. 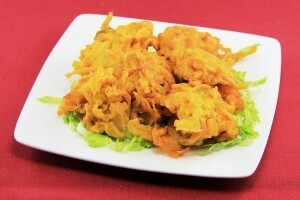 A combination plate of two samosas, three pakoras, four tandoori wings, and kababs. Lentil and mixed vegetable soup. 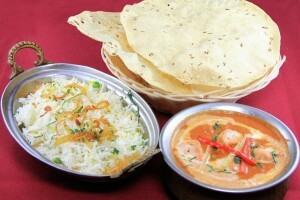 All dishes are served with rice pilau and papad! 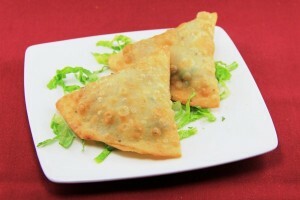 A hot south Indian dish of beef, lamb, or chicken. Boneless goat meat cooked Punjabi style. Beef, lamb, or chicken cooked with coconut, almonds, and spicy sauce. Ground meat and peas cooked in a ginger, garlic, and spicy sauce. Indian-style minced beef balls cooked in a spicy sauce. Beef, lamb, or chicken cooked with spinach, ginger, and spices. Chicken, lamb, or beef cooked in a tomato, chili, and garlic sauce. Boneless pieces of chicken, beef, or lamb cooked with onions, vegetables, ginger, and tomatoes. Chicken tikka cooked in a creamy sauce. Beef, lamb, or chicken cooked with lentils, vegetables, and tamarind sauce. Delicious meat and poultry dishes! Ground meat and peas cooked in ginger, garlic, and spicy sauce. Chicken, lamb, or beef cooked with a tomato, chilli, and garlic sauce. Chicken tikka cooked in creamy sauce. Chicken marinated in yogurt, ginger, garlic, vinegar, lime juice, and spices, then cooked in a charcoal clay oven. Fish marinated in lime juice, ginger, and dried mango powder, then cooked in a charcoal clay oven. Pieces of lamb marinated in yogurt, vinegar, ginger, garlic, and spices, then cooked in a charcoal clay oven. Minced beef mixed with subtle spices and cooked in a charcoal clay oven. 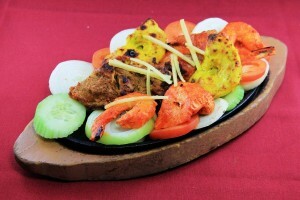 Boneless pieces of chicken prepared tandoori style. Prawns cooked with onions, ginger, garlic, and fresh herbs. Prawns cooked in a tomato, butter, and cream sauce. 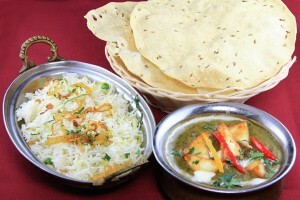 Fish cooked with a coriander, garlic, almond, saffron, and cream sauce. Fish cooked with a tomato, ginger, garlic, and fenugreek sauce. Prawns cooked in a hot and sour south Indian curry. Fish cooked with vindaloo sauce. Fish cooked in a coriander, garlic, almond, saffron, and cream sauce. Fish cooked in a tomato, ginger, garlic, and fenugreek sauce. Fresh spinach and Indian cream cheese. 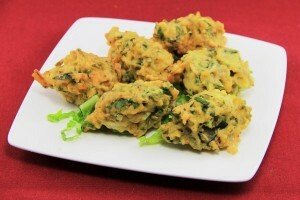 Mixed vegetable balls in butter sauce. Indian cream cheese and peas. Indian cream cheese cooked in butter sauce. 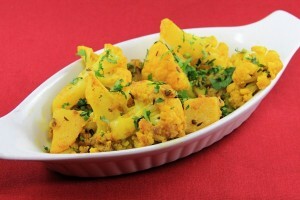 Indian cottage cheese in masala sauce. Combination thali platters for one! Lamb curry, aloo gobi, tandoori chicken, dal, rice pilau, naan, papad, and chutney. Tandoori chicken, lamb tikka, chicken tikka, tandoori prawns, seekh kabab, fish tandoori, naan, rice pillau, papad and chutney. 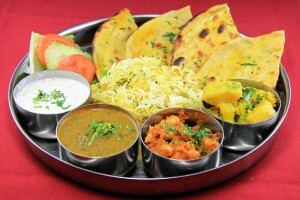 A traditional vegetarian platter of aloo gobi, mutter paneer, dal mukhni, pillau, chapati, papad, raita, and chutney. Delicious dinners for two people! Papads, vegetable samosas, lamb korma, chicken palak, rice pilau, naan, raita, and rasmalai. Meat samosas, papads, butter chicken, lamb roganjosh, rice pilau, naan, mango chutney, and gulab jamun. Vegetable pakoras, papads, kofta malai, mutter paneer, rice pilau, naan, mango pickles, and kheer. 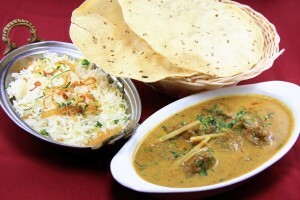 Basmati rice flavored with saffron and cooked with pieces of lamb, beef, or chicken, nuts, and spices. 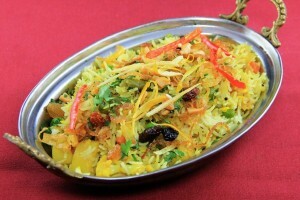 Saffron-flavored basmati rice cooked with mixed vegetables and spices. Flavored basmati rice cooked with prawns, nuts, and spices. Leavened fine flour onion bread. Pratha stuffed with potatoes and spices. Pratha stuffed with ground meat. 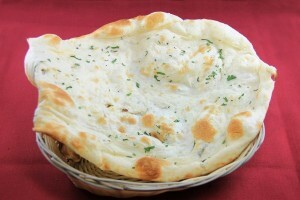 Naan stuffed with ground meat. Choose from an assortment of homemade condiments! Yogurt with cucumbers and carrots. Your choice of mango, mint, or tamarind chutney. Mango, lime, or mixed pickles. Choose from an assortment of juices. Made with dry milk and cream cheese balls dipped in sugar syrup and rose water. Made with fresh, homemade cream cheese in sweetened milk, served with pistachios.